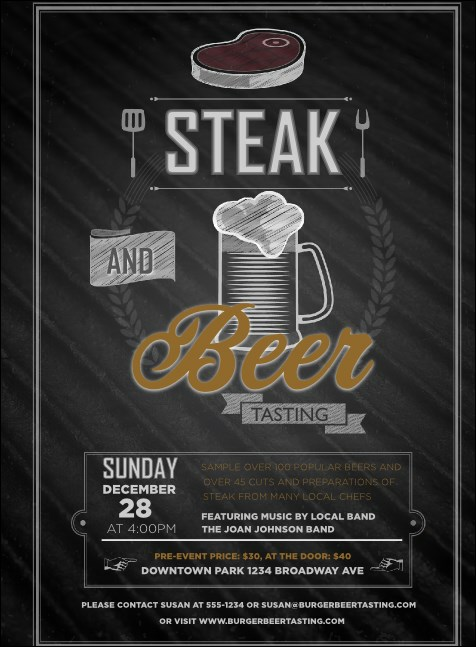 Invite fans of hops and grills when you send out the Steak & Beer Invitation before your next event. A dark metallic background sets off the silver and gold text and designs on this template. Pair with coordinating tickets, flyers, and VIP passes in a Matching Event Kit. RSVP to a delicious feast with the right invitation from TicketPrinting.com.